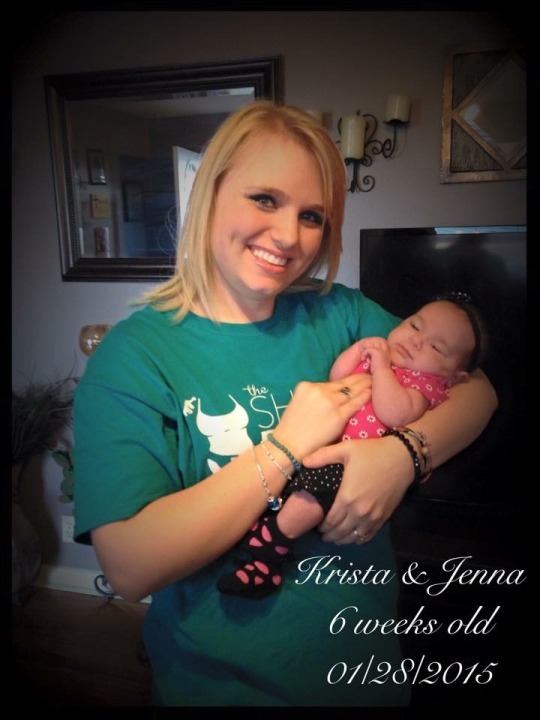 This guest blog is written by Krista’s client, Stephanie Winginton about the birth of her third child. 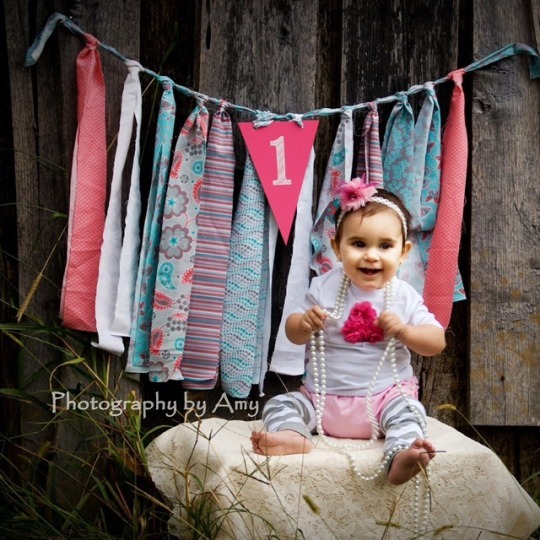 Happy first birthday, Jenna! My name is Stephanie Wiginton and I’m the mother of Cody (13), Alyssa (5), a beautiful Angel, and Jenna (1). 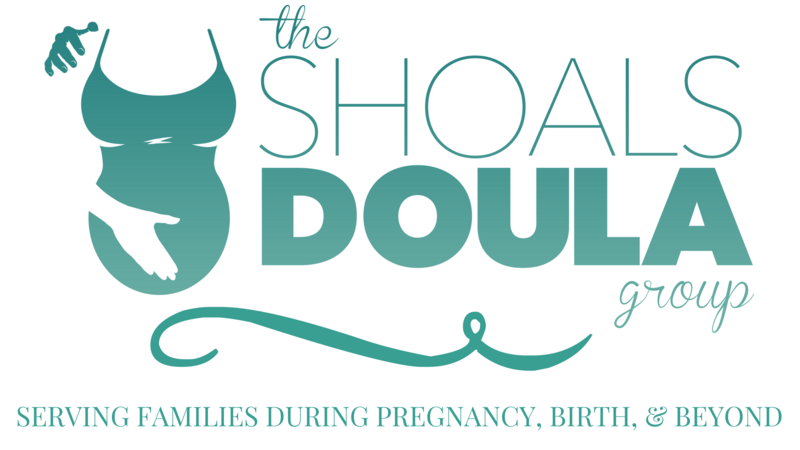 Having a Doula had never even crossed my mind. After having two children with epidurals, it never occurred to me that I really had options. With my first child, I walked in on my own at 41 weeks in labor and had an epidural at 4cm which came completely out. With my second, I was induced at 39 weeks and had an epidural and it was a traumatic experience. My epidural took, but it took from the head down, leaving me unconscious and unable to breathe. When I finally came to, I was surrounded by a room full of Drs and nurses and that dreaded red crash cart!! It left me in complete shock and questioning myself. After 3 years, we decided it was time to give it a go and try again. We found out in October 2013 we were expecting and decided to wait and share our exciting news at Thanksgiving with family and friends. Unfortunately, our joy and happiness was very short-lived and we lost our angel November 8th. Words can not explain the pain of losing a child, even one you never got to see or hold. We took time to grieve and heal. So we put everything in God’s hands and if we were blessed with another child then that would be His will. In May 2014, we found out that we were expecting again. At this point we had switched doctors, hospitals, and did a lot of thinking and praying. I wanted something completely different. Something that would honor our angel and give our rainbow the best start we could and I be in control. It was almost a mission, I had to feel this, I had to do and give our baby everything that I couldn’t to our angel. But I knew I would need help and support! My husband is great, but he would cave in to anything. A doula would be great, but where would I find one?!?! I don’t know anything about them! It was one simple message with a number for Krista Trotter from her sweet husband, Brock! I had no idea! I mean our kids were in the same class together, I worked by Brock every day, I mean how did I not know this? One meeting is all it took to know this was right! I didn’t hesitate one bit signing up! That first meeting we did a birth plan that set everything into motion of what I really wanted in this birth. No epidural, no pain medication, no iv if possible, able to move in my room freely, delayed cord clamping, directly to chest for skin to skin, no pushing assistance, and no induction if not medically necessary just a few of my wishes. She even took them with me to my dr to sign! Who knew you could do these things?!?! Now this pregnancy didn’t come without its hiccups… Labeled high risk, thyroid disease, gestational diabetes, swelling, a few high blood pressures here and there, weekly sonograms, and a history of low amniotic fluid. But I was determined and I was going to do this! With Krista’s help I would be ready, mentally and physically! Lots of calls, texting, and meetings!! She eased my mind so many times!! She was just as determined as I was, making sure everything was the “EPIC” birth that I planned! December 16th, 2014 I went for my 37 week visit and weekly ultrasound. The news was not what I wanted to hear at all!! My amniotic fluid has dropped to 5 from 15 the week before, I was being admitted that day for observation and induction the 17th. It broke my heart. I almost dreaded the call to Krista. I was torn and didn’t know what to do. I wasn’t ready yet. I wanted labor to dart on its own. I wanted to labor at home, I wanted to be in control!! I was alone and didn’t even have anything with me. I was not prepared one bit! My doctor graciously let me go home to get my things and pick up my husband. When I left I called my husband to tell him to get our things together and my next call was to Krista. Although my plans changed she was so supportive and understand the the reasoning. It was about the health of our baby. She prepared a copy my birth plan to take with me so that the hospital staff would have it and know my plans. I wanted to try induction unmedicated so my dr placed a catheter to try and get me to dilate and efface overnight. I had contractions about every 3-5 minutes all night. So much so that I slept in the guest chair and not even my own bed. Krista kept constant contact to make sure I was ok and checking progress. At 5:00 AM the foley was removed and I was allowed a shower. Oh how nice that warm water was after having contractions all night long! I was up and moving and hoping to continue to progress. At 5:30 AM contractions stopped, another setback. So again without medication, my dr came in at 6:00 AM and broke my water. Another let down, nothing. About 6:20 AM the nurse came in and started pitocin. Now let me add, I was prepared, even with things not looking good. I had my shower, my birth ball, breathing, free movement, I was mentally prepared for what was to come thanks to all of Krista’s help and support. I had this, it was happening. Contractions were coming stronger and harder! We weren’t expecting an arrival until after lunch, so I would text Krista and let her know I was ok and let her know my progress. Now at some point, I stopped texting and the pain was almost unbearable. I couldn’t talk, but I had to keep moving! The best part is even when my mind left me, everyone else supported my decisions and my birth plan of an unmedicated birth! I’m not sure when Krista arrived, things became blurry at some point! Who knew this pitocin could be so hard on a body!! My husband standing back in a state of loss, Krista at my side! Through my begging at this point for drugs and screaming I can’t do this anymore, her voice in my ear, “You are doing this,” kept me going! Even my doctor kept reminding me of his support for what I wanted! Every check I had, I was only at 8cm. I didn’t know if I could take it anymore, but we were already past the point of no return. One of the last things I remember, was Krista saying take a deep breath and push out through your nose. Boy didn’t that set things up, the nurses were in complete shock… don’t push, don’t push. For all they knew I was still at 8 from a check a few minutes earlier. But I had a vision and a sense of calm had come over me, there was no more pain. My body knew it was time to push! To everyone’s surprise, here she come! The nurse delivered Jenna’s head as the dr walked in to deliver the rest of her precious body! Jenna made her grand entrance into this world at 9:56am on 12/17/2014 and went straight to my chest. I’m not sure if I could ever have the right words to describe that day, but I will say that I honestly do not think I would have ever been able to make it without Krista. Her education, support and friendship, got me through one of the most memorable times in my life! Without her I would have been in a bed, on my back, and medicated. I can’t thank her enough for everything and the joy she has helped bring to my life!